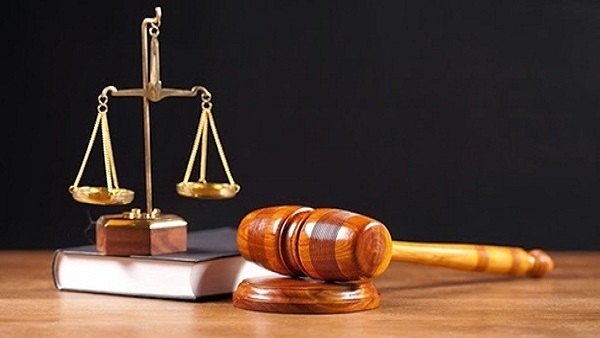 The Misdemeanour Court in Beni Sweif on 22 May acquitted nine Copts and 11 Muslims from the village of Meinin who had been charged with discriminative practices and building without licence. The court based its decision on a conciliation agreement, an out-of-court settlement between the Muslims and Copts, according to which they all relinquished their legal rights. Last week, the State Security Court handed the nine Copts and 11 Muslims from the village of Meinin, one-year prison suspended sentences on charges of mobbing, fighting and possession of unlicensed arms. The court based its decision on the conciliation worked a day earlier in the village. “The sentence is tantamount to an acquittal,” remarked the Copts’ lawyers, Tharwat William and Essam Reda. The case, however, had to be seen by the misdemeanour court on 22 May. A conciliation session, a traditional out-of-court settlement, had been held between the Copts and Muslims of the village of Meinin in al-Fashn, Beni Sweif, some 100km south of Cairo, to contain the fallout of an attack against the village church by local Muslims on 14 April. The incident resulted in the arrest of nine Copts and 11 Muslims, and closure of the church. The conciliation session was held in a local school building and was attended by the village elders, local politicians and security officials, as well as members of the Muslim and Coptic clergy: all in all 10 representatives from each side. The settlement reached said the church would remain closed until officially legalised by the Cabinet committee that looks into the cases of unlicensed churches. A hall annexed to the closed church would be used for social occasions for Copts, such as weddings or funerals. The Meinin village church of the Holy Virgin and Pope Kyrillos had been used for worship for some 10 years now, and is among the unlicensed churches which, according to the 2016 Law for Building Churches, have filed applications for legalisation of status. For long decades and till the 2016 law was passed, Copts had found it next to impossible to obtain licence to build a church. Owing to the ever-increasing needs of the growing congregation, they resorted to worshipping in buildings not licensed for worship. The new law made provision for licensing existing unlicensed churches, provided their buildings are structurally sound, as proved by a committee from the building authority. The law also stipulated that no church which has submitted its papers to the Cabinet’s relevant committee should be closed. No specific reason was given for the Meinin attack, but many of the Coptic villagers say that the building authority committee had recently visited the church in preparation for legalising its status, and the attack was waged in retaliation. On 21 May, al-Fashn police in Beni Sweif released five Copts who had been held without charge for more than a month, in the wake of the unrest that took place last month in Meinin. The Copts: Farag Sehata, Milad Mahrous, Hany Raouf, Emad Bebawi and Awad Ayad, were never seen by the prosecution. According to Mansour Shehata, brother of Farag Shehata, said that the detention cost his brother his job, since he had been absent without any proof that he was in police custody. The police refused to give him any such proof because he had been illegally held.